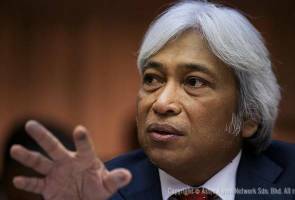 KUALA LUMPUR: Bank Negara Malaysia (BNM) will introduce a strengthened transparency framework on Jan 1, 2018 to serve as an added deterrence against misconduct in the banking industry says Governor Datuk Muhammad Ibrahim. The introduction of the framework was to reiterate the central bank's seriousness in upholding ethical standards and integrity. This followed the recent findings published by the Financial Services Professional Board, based on a 2016 survey of Malaysian banking professionals, which was sobering. Muhammad said the findings revealed that 23 per cent of respondents observed that supervisors rewarded behaviour derived through unethical means while another 15 per cent expressly stated that they would act unethically when not being watched or monitored. "These sobering results are a clear manifestation that our journey is far from over and that much more need to be done to further strengthen character in the banking community," he said at the 20th Asian Institute of Chartered Bankers (AICB) Graduation and Awards Ceremony here today. Muhammad said there were expensive economic consequences related to ethical choices. Citing examples, he said the 2008 financial crisis had cost the United States economy more than US$22 trillion while misconduct costs by banks, globally, exceeded US$320 billion since 2008, with US$42 billion incurred in 2016 alone. However, he highlighted that the Malaysian banking sector made significant progress to professionalise the industry with the establishment of the AICB, the Asian Banking School and the roll out of the chartered banker qualification. Meanwhile, AICB Chairman Tan Sri Azman Hashim said the institute was one of the pathway towards improving the quality of bankers and professionalism through generating more chartered bankers. "Considering this is a new programme, there are only 45 chartered bankers in Malaysia right now. "The numbers will increase because we are now requiring all new intakes into the banking sector to become AICB members and sit for the chartered banker qualification exam.